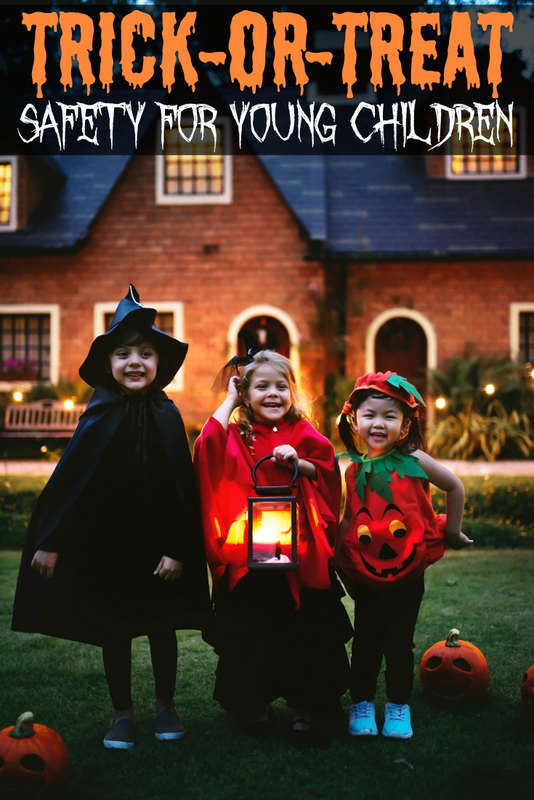 Today I am talking about Trick-Or-Treat Safety Tips To Teach Young Children. Before you know it, Halloween is going to be here. Leading up to that are many discussions about what costume they plan on wearing when they go trick-or-treating. While a costume is important, discussing trick-or-treating safety and rules is also very important. Today I’m sharing some trick-or-treating tips for young children to help you better prepare them, and yourself. 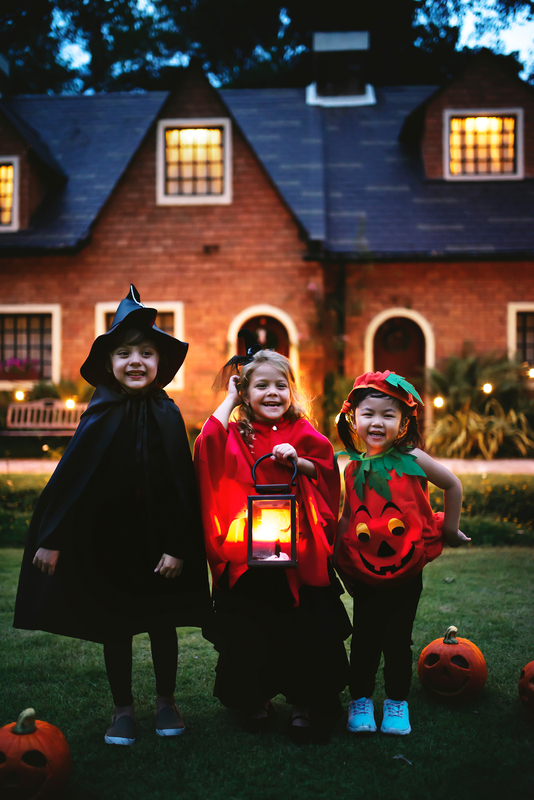 Before your little ones head out the door on Halloween night, be certain to talk to them about these trick-or-treat safety tips. While your little one may want to go alone, everything is always better in pairs. Explain to them that it can get very crowded and busy, so they will need to stay close to you. One can never be certain as to what kind of treats are waiting in their trick or treat bag because it’s dark outside and the eyes can’t see everything. Don’t let your young child randomly start grabbing candy and eating because you haven’t had time to inspect it yet. Once you get home you can dump out their Halloween bags and take your time to inspect all the candy. That way, you’ll know what they received and you can determine if everything is safe or not to eat. Trick or treating in the dark is fun, but it can be dangerous as well. Instead of having them fumble around in the dark from house to house, take a flashlight so that they can see where they are going. 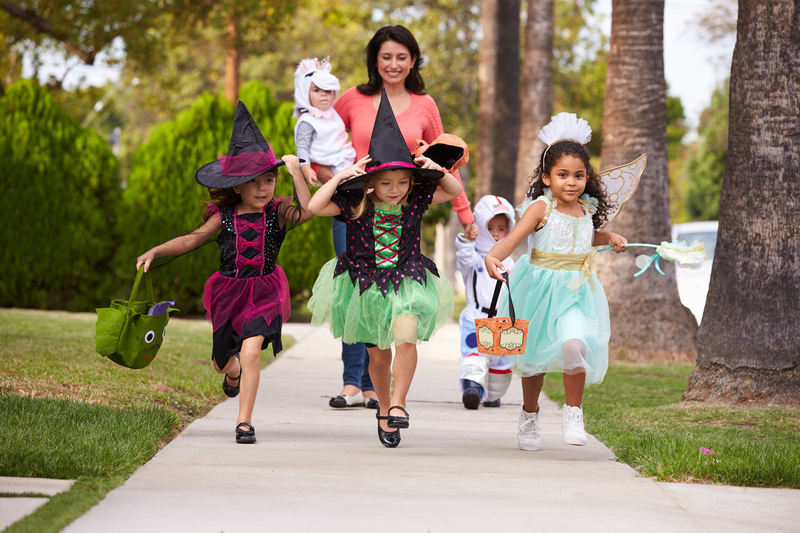 Sidewalks can get crowded from all the trick or treaters on Halloween night, but walking on the road is never a safe option. Many adults like to celebrate Halloween as well and the traffic on the road can be equally as busy. Let your younger children know that if the sidewalks are crowded they’ll just have to learn a bit of patience and wait their turn. Walking up to the front porch is great, but it’s a big no-no to step into anyone’s house. Remind your child of this rule right before they step out of the house to start trick or treating so it’s fresh in their mind. With a giant bowl of candy just starting your child in the face, it would be tempting for anyone to grab more than one piece, right? 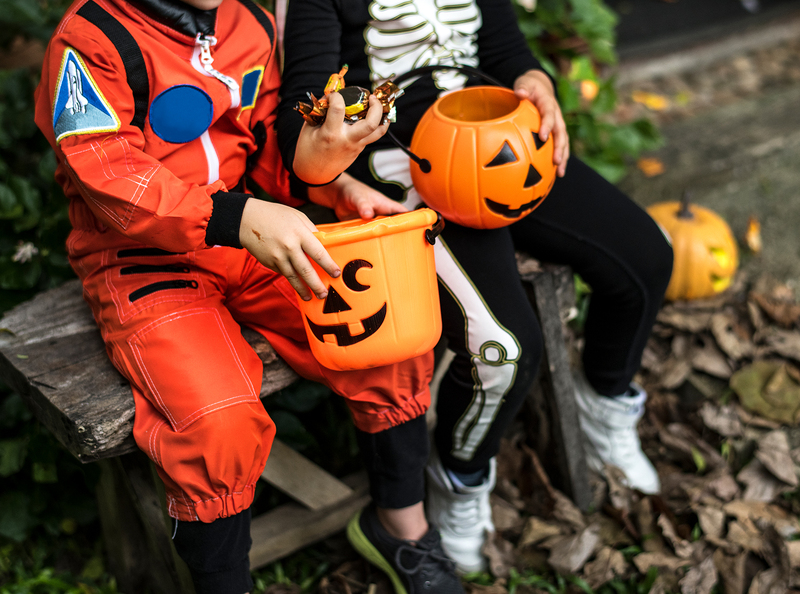 While manners when trick or treating may be unspoken, it’s important to remind your child to only take one piece of candy at a time, unless the person holding the bowl advises otherwise. When teaching trick-or-treat safety tips to your young child, it’s important to remember a few of the suggestions above. Not only do they help provide a guideline and a few rules for them for Halloween night, but it helps to prepare them with what to expect as well. Trick or treating may be a bit chaotic, but that doesn’t mean that it doesn’t have to be a good time. These tips and tricks can help everyone have a safe and happy Halloween! 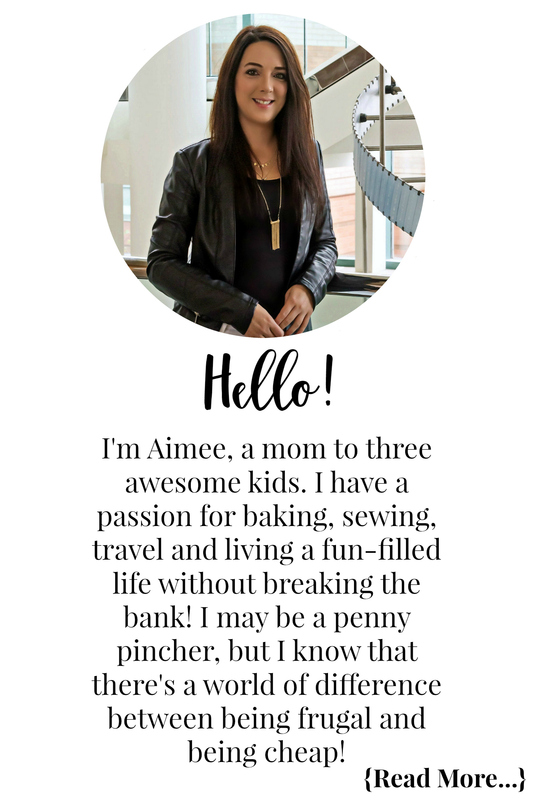 Check out all my fun Halloween recipes and crafts on the blog too!